San Diego Criminal Immigration Lawyer by Habib Hasbini, Attorney at Law. Criminal immigration involves the intersection of immigration and criminal law. There are many ways where immigration and criminal law intersect. If a non-citizen is facing criminal charges, they need an immigration lawyer to explain the potential immigration consequence of any possible plea agreement. Having a criminal history could impact someone?s ability to seek adjustment of status or seek naturalization. An individual facing removal due to a criminal history must either show that their criminal history does not render them removable or apply for relief from removal, in order not to be removed. Many non-citizens plead guilty to crimes without realizing that their conviction can get them deported. Sometimes when this happens, a criminal lawyer can have the plea agreement vacated. Immigration attorneys can work with criminal lawyers to prevent the non-citizens deportation while the criminal lawyer attempts to have the guilty plea vacated. I am not a criminal lawyer, but I handle immigration matters for individuals with criminal histories. 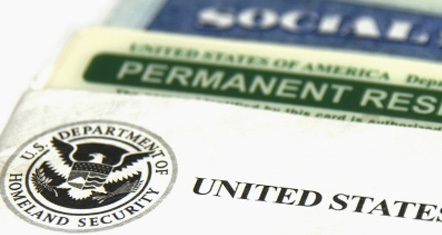 Criminal immigration is a complex and difficult area of immigration law. If you are a non-citizen and have a criminal history, you need an immigration attorney that has expertise with criminal immigration. I have been handling Criminal immigration matters as long as I have been practicing immigration law.